billion arrears of Budget Support and N14.1 billion Paris Club refund, which was approved for payment to the State in June this year. arrears. 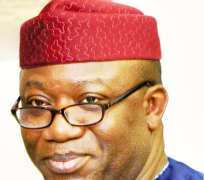 But due to his bitter politics, Fayemi blocked the payment and more than one month after receiving the payment, he is still following his usual path of deceit instead of paying the workers. “Besides, the fund was meant for both the State and local governments and it is on record that Ekiti fell into the hardship of inability to pay salaries regularly as a result of debt incurred during Fayemi’s first tenure and the loans restructuring done at the instance of the federal government and the Federal Economic Council.